Broken People is an American 6 minute scripted comedy television series, which kicked off on July 20, 2015, on Comedy Central and is broadcast every at . The show is currently in its 1st season. 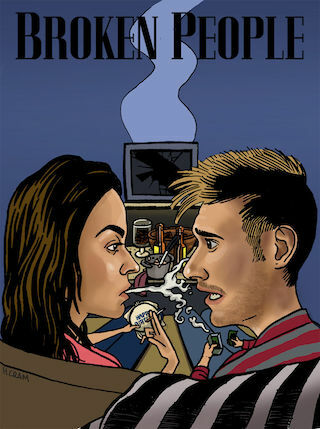 Broken People ventures inside the relationship of Jared and Taylor, a couple trying hard to be happy  if only they could find a way to feel anything. The problem? They have no people skills, no emotional stability and no clue.